Following in the footsteps of Tex Rickard, Mike Jacobs ruled as the dominant boxing promoter of the 1930s and '40s. Born in New York City in 1880, Jacobs came from a poor family and went to work as a boy, selling newspapers and candy on Coney Island excursion boats. Noticing that ticket purchases for the boats were often confusing to prospective passengers, Jacobs began scalping boat tickets. He then bought concession rights on all the boats docked at the Battery, sold train tickets to recent immigrants, and eventually ran his own ferryboats. Jacobs then became the premier ticket scalper in New York, buying and selling theater, opera, or sports events tickets. He began backing events himself-any sort of venture he believed would profit in the end-including charity balls, bike races, and circuses. Jacobs met Rickard at the Gans-Nelson fight in 1904, Rickard's first promotion, and helped Rickard become active in the New York area. Jacobs profited from Rickard's ventures, both from ticket sales and from investing in Rickard's promotions. After Rickard's death in 1929, Jacobs focused his money-making talents elsewhere until sportswriters Damon Runyon, Ed Frayne, and Bill Farnsworth of the Hearst newspaper chain arranged for him to stage Hearst's annual Milk Fund boxing benefit at the Bronx Coliseum. In 1933, the three reporters and Jacobs formed the Twentieth Century Sporting Club to promote boxing. Jacobs used the Hippodrome in New York as his primary venue. In 1935, Jacobs signed the young heavyweight Joe Louis to an exclusive contract. Louis's first bout in Yankee Stadium grossed $328,655, while his fight with Max Baer grossed over $1 million. Jacobs's link to Louis, the biggest attraction in boxing, solidified his position as a top promoter. This was borne out when he staged the Tournament of Champions on September 23, 1937 in Yankee Stadium in which four world championship bouts were fought. Following on this success, Madison Square Garden leased the arena and the outdoor Madison Square Garden Bowl to the Twentieth Century Sporting Club. Jacobs now had complete control of boxing in New York. In 1938, his relationship with the Garden changed from tenant-landlord to a partnership. At about that time, Jacobs became the sole shareholder of the Twentieth Century Sporting Club, paying off Runyon and forcing the other two partners out. Through the rest of the 1930s and into the post-war period, Jacobs was unmatched as a promoter, reaching his peak with the second Louis-Billy Conn fight, which brought in almost two million dollars. 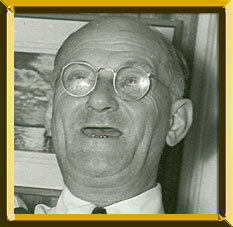 Jacobs suffered a cerebral hemorrhage in 1946 but remained the head of the organization with his relative Sol Strauss operating the club on a day-to-day basis. When Louis decided to retire and then go into business with the group that became the International Boxing Club, the Twentieth Century Sporting Club ceased to function. Jacobs remained in ill health and died in January 1953.